Paul Ajosshi: Jonny and his "Dong Dong"
This tiny place seats just over twenty and has a cosier feel than its sister restaurant. The menu is still not quite complete, so I decided to go for some simple dishes: 야끼소바 (Yaki Soba) and 모듬 덴뿌라 (Mixed Tempura), coming in at a very reasonable 6,000 won each. Perhaps it was first day nerves, or the strains of a new kitchen, but my two dishes came a while apart instead of together, so my Yaki Soba served as an ersatz appetizer. 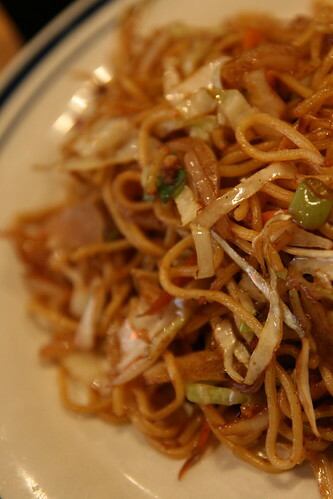 This messy mix of crispy veg and chewy noodles was cooked and seasoned to perfection. I don't know if it was authentic, but it was delicious. And then the main course... 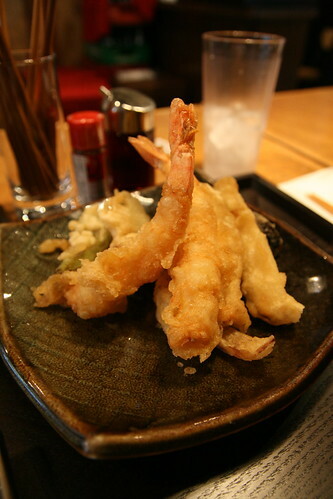 The mixed tempura was presented well, but looked and tasted a lot more like Korean twigim. It didn't have the same airy crispness that good Japanese tempura has, but it was still tasty and offered an interesting mix of prawns, mushroom, aubergine and chili. 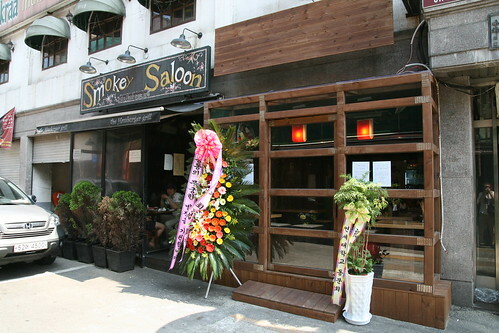 This was Dong Dong's first day, so I'm sure the staff will settle and sort things out, but it's a very promising start and a great place to go if you're in Itaewon and looking for some quick, cheap Japanese food. 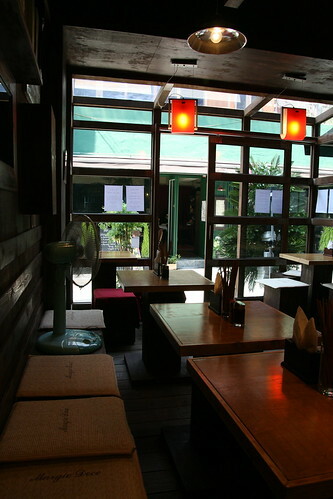 To get to Dong Dong, come out of Itaewon station and turn left at the Hard Rock Cafe, then right after My Thai. Dong Dong is next door to the Smokey Saloon on the right hand side. It doesn't have a sign or a phone number yet, but it will soon.